Building estimates can be made easy with the aide of a computer program...providing you don't have to be a professional builder to use the program. I have tried some of these programs and found some of the input information to be confusing.... ...so I was not sure the results were accurate. Here is another link... they have some Free estimating tools you may find useful. If you are looking for a quick cost estimate of what it will cost to build your house, then try this... find a house in your area that is being built by a contractor for the purpose of selling. The house should be the same style and features as the one you plan on building. Check the listing price and details of the house with the realtor ...also find out what the building lots are selling for in that area. Now.. from the listing price you deduct the land cost.. ..and 5% realtor fee and 25% for contractor profit... subtract the sum of these from your listing price and then you divide that sum by the sq. ft. of the house. This will give you a cost per sq. ft. Multiply the cost per sq. ft. by the sq. 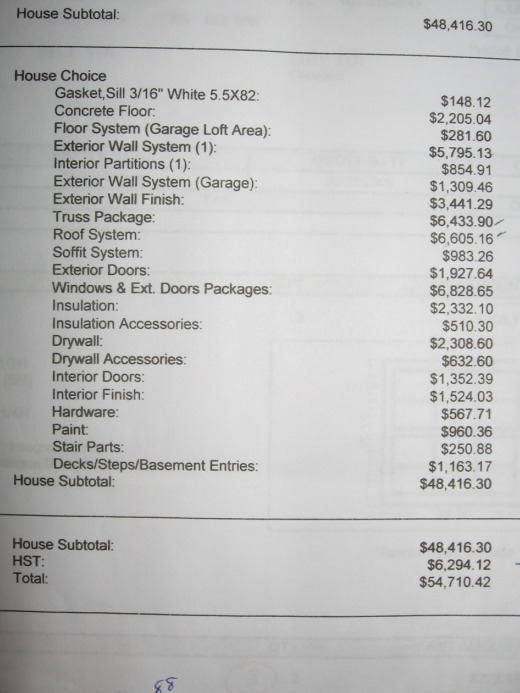 ft. of your house and this will give you a construction estimate of what it will cost to build your home. Remember this does not include your land. This is a good way to come up with a cost estimate...to determine if the plan you picked falls within your budget.. or help you determine the size and style of house you can afford. 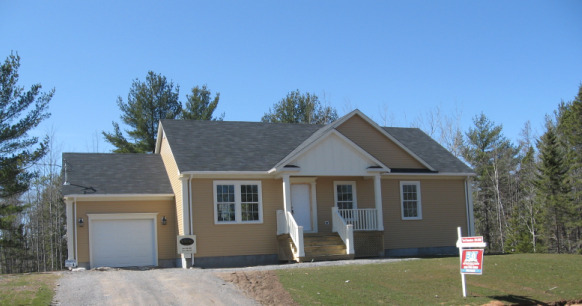 When I had made the final decision on the size and style of house I would build..I took my rough plan to four building supply centers for a more accurate cost estimate. These building estimates were for materials only. Everything I would need to build my house was listed and priced. At this point I was able to compare prices.. and whether all building centers were quoting on the same things...this was important because I found that one supplier..whose price was lower...did not quote on everything needed to build the house. When getting a building estimate from more than one suppler make sure the quotes are equal. The lower quote is not always the best one.